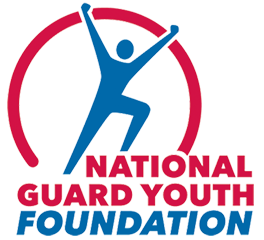 ALEXANDRIA, Va. – The Board of Directors of the National Guard Youth Foundation,the national nonprofit organization that supports the National Guard Youth ChalleNGe Program, is pleased to announce the selection of Brig. Gen. Allyson R. Solomon, USAF (Ret. ), former Assistant Adjutant General of the Maryland National Guard, as President of the National Guard Youth Foundation. Since enlisting in the Maryland Air National Guard over thirty years ago, Gen. Solomon has served as the first female Colonel, the first female and African American Brigadier General, and the first female and African American Assistant Adjutant General in the Maryland Air National Guard. Born in Trinidad and Tobago, Gen. Solomon and her family immigrated to the United States in 1971. She enlisted in the Air National Guard after graduating from high school. Seven years after enlisting, she was selected to attend the Air National Guard Academy of Military Science, a training school for individuals to become officers in the Air National Guard. Gen. Solomon earned her Bachelor of Arts in Business Administration and Management from Loyola University and her Master of Arts degree in Public Administration from Auburn University. Gen. Solomon remains active with her sorority, Alpha Kappa Alpha and volunteers with charities that work with women in financial crisis and those that promote educational opportunities to the underserved. Conducted at 36 academies across the country, the National Guard Youth ChalleNGe Program is operated in conjunction with the U.S. Department of Defense, National Guard Bureau, state governments and local sites. The program consists of a 5 1/2-month residential phase framed around eight core components: academic excellence, responsible citizenship, physical fitness, leadership/followership, job skills, service to the community, health and hygiene and life coping skills, and a 12-month post residential phase during which mentors continue to provide guidance and support to graduates. Helping more than 135,000 teens to date turn their lives around, ChalleNGe is recognized as among the most cost-effective, highly rated programs of its kind for youth who have dropped out of school. An independent, multi-year study of the program by MDRC shows that high school diploma/ GED attainment increased by 29%; college attendance increased by 86% and annual earnings increased by 20%. An independent cost-benefit analysis by the RAND Corporation shows a 166% return on investment in the program – every dollar spent yielded a return of $2.66 in benefits to society.